I’m obviously behind the times here, but…! I can’t wait. I love Smurfs. They are a great thing from my childhood. And the movie looks hilarious. With Neil Patrick Harris and Jayma Mays as actual people, because the Smurfs have being displaced from their village and found themselves smack bang in the middle of Central Park. 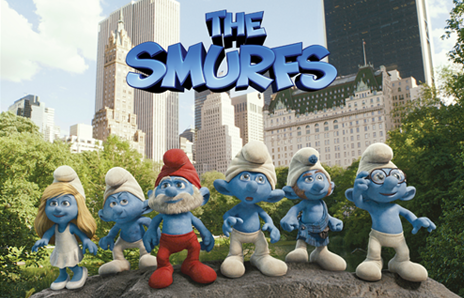 Voices for the Smurfs include Katy Perry, Johnathan Winters and Alan Cummings. Naturally Gargamel (Hank Azaria) is on their tails and the Smurfs must find their way back to their village. And they are so cute! Even if you can tell they are animated or whatever it is they are these days. It is due out in August in the States. Whether that is the same for New Zealand, who knows? ← All these great ideas and zero follow through.